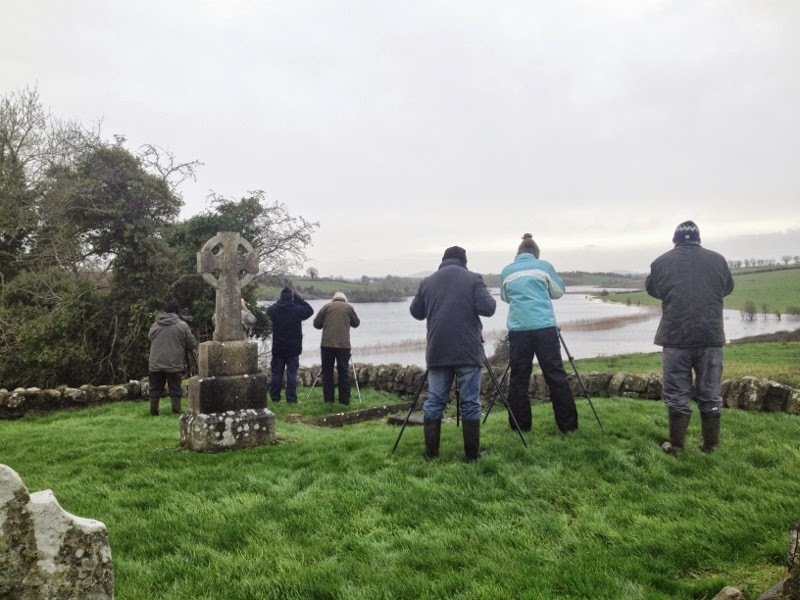 Cavan Branch Birdwatch Ireland made a start on this year’s Irish wetland bird survey last weekend.This nationwide effort of citizen science happens every year. The aim is to find and count the waders, wildfowl, gulls and other wetland specialists that are visiting Ireland. In addition this year a special effort is being made to find and count the whooper swans. We split up into two groups and headed out to other sites. 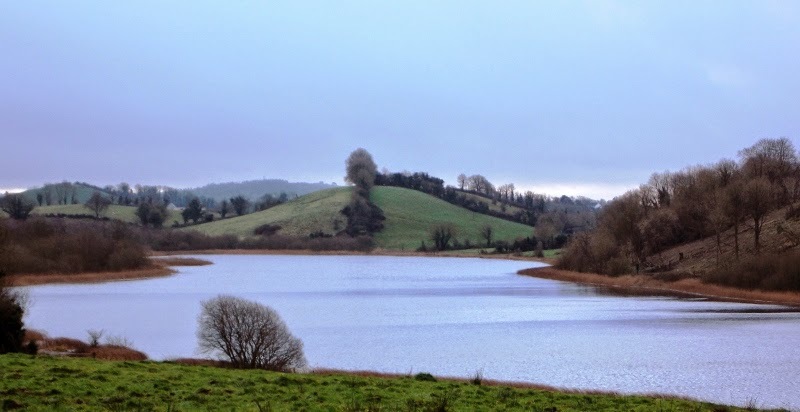 The Lough Oughter complex is a confusing flooded landscape of ribbed moraines and drumlins. It takes time to find a route round to each lake and then find the birds. The birds move about depending on food supply, wind direction and shelter and human disturbance. However we managed to find tufted ducks, goldeneye, mallard, whooper swans, widgeon, teal, cormorants and great crested grebes. We also managed to pick up a buzzard and a sparrow hawk. I found it interesting to see how I constantly undercounted flocks compared to others in my group! I may be more careful with my counts! Report on event by Heather Bothwell,Branch Chairperson. 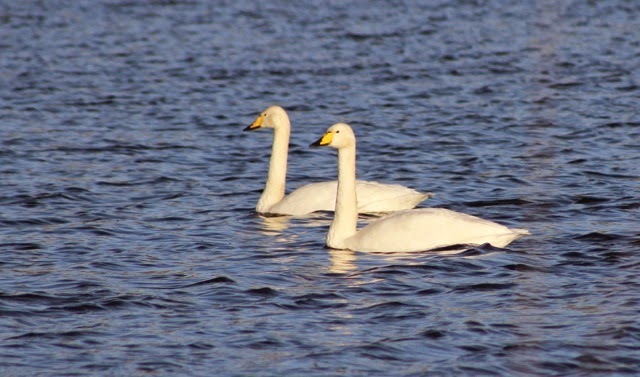 To report any sightings of Whooper Swans this weekend,contact the Birdwatch Ireland office at iwebs@birdwatchireland.ie or a member of the local Branch. February - Sunday 22th outing to Dundalk Bay. More information on this event will be posted soon. March - Thursday 19th . presentation by Micheal Casey "Dwindling Irish Swifts - what can we do ?" Cavan County Museum at 8pm. AGM prior to presentation at 7pm sharp.